German Interior Minister Horst Seehofer finally unveiled his asylum “master plan” to the press on July 10. German Interior Minister Horst Seehofer finally unveiled his asylum “master plan” to the press on July 10, but the draft did not include the last-minute compromises made with coalition partners last week. The plan had been blocked las month by German Chancellor Angela Merkel. 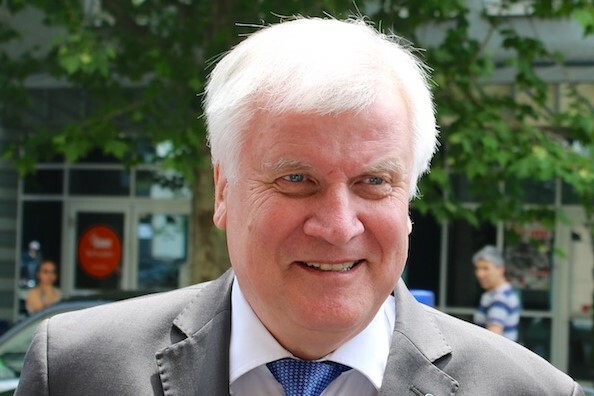 Instead, Seehofer, who is also head of the Christian Social Union (CSU), the Bavarian sister party to Merkel’s Christian Democratic Union (CDU), told reporters “this isn’t a master plan of the coalition, but a master plan of this house”. As reported by Deutsche Welle (DW), Germany’s international broadcaster, Seehofer said the document published on July 10 had been finalised on July 4, which meant that it did not include the compromises made last week with Merkel and with the coalition’s junior partner, the Social Democratic Party (SPD). He also admitted that it was not yet clear which measures contained in the plan the centre-left would agree to. Seehofer’s plan still contained the term “transit centres”, which the SPD had vetoed in favour of “transit procedures”. In its introduction, the plan also demands that “asylum seekers work actively on their asylum procedures. We want to stop people disappearing during or after their asylum procedures, or hide their real identities”. The United Nations refugee agency, UNHCR, was also critical. Its German representative Dominik Bartsch released a statement on July 10 criticising the “worrying basic tone” of Seehofer’s plan. In a related report, The Associated Press (AP) noted that more than 1 million migrants entered Germany in 2015-2015, most of them from war-torn countries like Syria, Afghanistan and Iraq. While they initially received a friendly welcome in the country, the mood has turned and led to a backlash against migrants and helped fuel the rise of the far-right Alternative for Germany (AfD). In the last two years, however, the numbers of newly arriving migrants in Germany have gone down sharply. Seehofer’s office reported on July 10 that the country saw a 16.4% decline in asylum applications in the first half of 2018 over the same period last year.